Government vehicles are being sold to the public with potentially dangerous open recalls, statewide investigation finds. By now we've all become familiar with car safety recalls. When the government sounds the alarm, consumers are urged to listen. But statewide investigator Katie LaGrone discovers a dirty little secret behind government recalls. 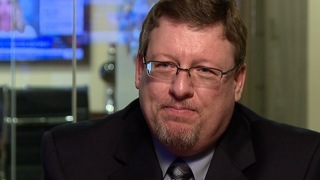 It's a secret that left a top state agency answering some tough questions and a veteran U.S. Senator demanding answers. 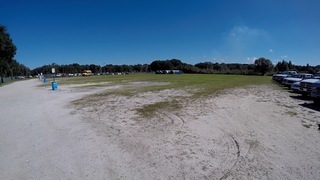 On a grassy lot less than 25 miles northeast of Tampa, you’ll find vehicles with high wheels, low wheels, 8 wheels and a pile of random wheels. All of it is up for grabs to the highest bidder. Tampa Machinery Auction is one of two public auction sites local and state governments use to auction off vehicles considered past its life of government use. But nestled in this buffet of retired steel, our statewide investigations team discovered dozens of government vehicles with active recalls, some of them serious and potentially deadly. "That doesn't surprise me at all," said Taras Rudnitsky, an Orlando based attorney who also spent years designing airbags as an automotive engineer for GM. 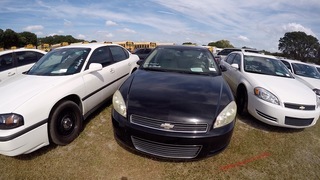 Among the government agencies we found auctioning off cars with potential defects: the Charlotte County Sheriff’s department, the Hillsborough County Board of County Commissioners and Florida’s Highway Patrol, whose mission is to keep Floridian’s safe on Florida’s highways. Last month, its parent agency, the FL Department of Highway Safety Motor Vehicles issued a news release urging Floridians driving vehicles with recalled Takata airbags to get them fixed. Turns out, FHP is auctioning off a Chevy Tahoe with an open and active recalled Takata airbag. According to the FL Dept. 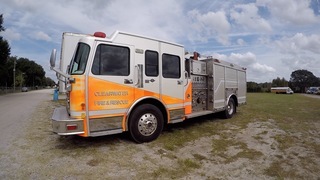 of Management Services (DMS), each year the state of Florida has approximately 1,300 used vehicles and other motor equipment items that are available for purchase by the public and other government agencies. Move your cursor over the images below to find out more about these government recalled vehicles. 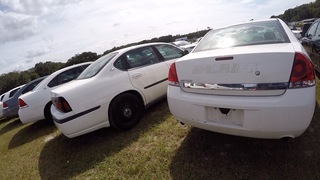 In fact, Florida Highway Patrol had nearly two dozen vehicles on auction with recalls, more than any other government agency we found at the auction site. 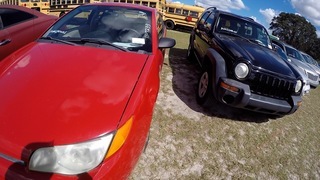 "On the one hand you’re admitting that these cars are extremely dangerous ought not to be driven at the same time you’re selling them to customers to drive on Florida’s roads,” Rudnitsky said. 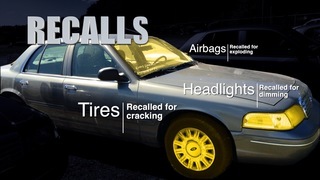 We found government vehicles with recalled headlights that could dim, tires that could crack and cause a driver to lose control and several recalled airbags. A Dodge Charger from the City of Clearwater had (2) open and active recalls while it was sitting on the auction block available for purchase. 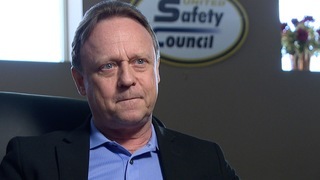 “I wouldn’t say it’s hypocritical,” explained Glenn Victor, Business Relations Director for the Florida Safety Council. The Council is the state’s leading non-profit that promotes safe driving on Florida’s roads. 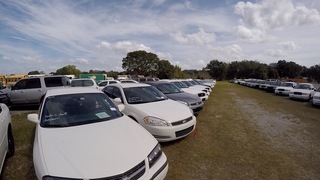 Beth Frady, spokesperson for the Department of Highway Safety and Motor Vehicles, which oversees FHP, explained that in nearly every car we found on auction, the recall fix had not been made available by the manufacturer by the time the state sent the vehicles to auction. In nearly a dozen of the vehicles we found belonging to FHP, the recall remedies remain unavailable today. 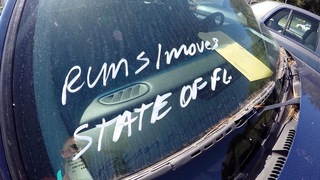 According to the Florida Division of Fleet Management Services (DMS) which disposes all retired state vehicles including FHP inventory, all state vehicles are sold, “as is.” There is currently no requirement, either at the State or Federal level, that barres the sale of used motor vehicles with active manufacturer recalls. Government agencies are also not required to disclose a vehicle has an active recall. U.S. 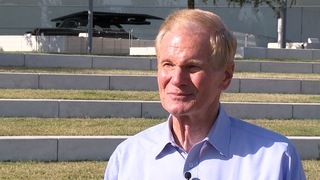 Senator Bill Nelson: "It's absolutely inexcusable." "If it's a state of florida car, my goodness," US Senator Bill Nelson said when we showed him our findings. “The state should not be sending out to the consuming public a car that is defective without having the recall item taken care of before the car is sold. Thank you for your investigation. That’s inexcusable,” he said. The National Highway Traffic Safety Administration (NHTSA) is the government agency with the authority to issue vehicle safety recalls. Since NHTSA was given this authority, the department has recalled more than 390 million cars, trucks, buses and other vehicles, according to NHTSA’s website. - When a vehicle does not comply with Federal Motor Vehicle Safety Standards. *These auctions are open to the public. Takata Airbags- NHTSA calls it the largest and most complex safety recall in U.S. history. Takata airbags installed in tens of millions of U.S. vehicles are subject to recalls due to a safety defect that may cause their inflators to explode. The explosions could cause serious injuries or deaths. 12 deaths connected to Takata airbags have been reported in the U.S. The Florida Investigations team checked the VIN numbers of every government owned vehicle up for auction at Tampa Machinery Auction. Once we plugged in the VIN numbers of each vehicle, we were able to see what, if any, recalls existed on the vehicle. There are no parts available for this recall and the City of Tarpon Springs was not informed to stop using this vehicle by Ford. To invest more money to keep it in the fleet would be a disservice to taxpayers. To park it and wait for the parts would also be a waste of money. This vehicle will not be sold as a retail sale to a consumer but will be sold and disclosed as an “as is” vehicle in a wholesale environment,” said city spokesperson Judy Staley. Did not respond by publishing time. "We typically receive recall notifications on a daily basis and they are disseminated to the appropriate locations within fleet and handled in the manner deemed necessary. Quite often the dealerships do not have the parts available to effect the repair and we await further notification of parts availability. Such is the case with this vehicle." According to its parent agency, the FL Dept. of Highway Safety and Motor Vehicles the remedies for nearly all the recalled vehicles we found remain unavailable from the manufacturer. According to DHSMV, in order for a vehicle to be turned in for disposal, the assigned Troop must check for recalls or have a recall inspection completed with a manufacturer’s dealer. However, if the remedy is unavailable the vehicle will still be sent to auction. "We do not knowingly sell any cars with outstanding recalls. We sometimes receive recall notices years after a vehicle is sold. Our policy is to correct any known vehicle defects or recalls before a vehicle is put up for sale. But all sales are as is." Tampa Machinery Auction (TMA) is considered a third party seller and sells government vehicles “as is, where is, with no warranty expressed or implied.” According to TMA, upon notification from a consigner, TMA will forward notification to the purchaser of any vehicle. TMA is contracted with several local government agencies to sell off retired vehicles. TMA is one of two public auctions used by the state to sell vehicles no longer being used by state government agencies. TMA gets a percentage of each sale. TMA holds public auctions on the second Saturday of each month.